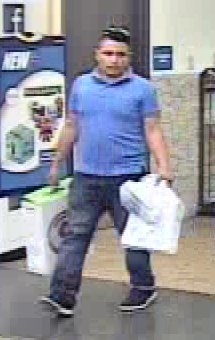 ST. GEORGE — The St. George Police Department issued a request Tuesday for the public’s help identifying a suspect wanted for questioning in an active counterfeit money investigation. Detectives are looking for information that may help identify the man captured in the photographs shown below in this report. 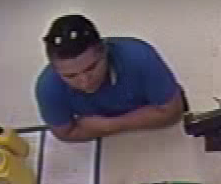 The man is wanted in connection to two separate incidents involving $100 counterfeit bills, according to the St. George Police Department. 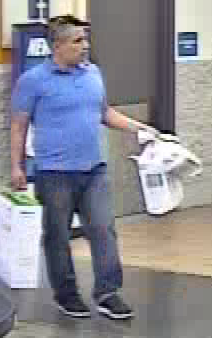 The bills were passed at Walmart located at 2610 Pioneer Road on Aug. 19 and Sept. 6, police said. Anyone who recognizes the individual in the photos or has information about his whereabouts is asked to call the St. George Police Department at 435-627-4305 and reference incident 17P020320 or 17PI00409. Counterfeit $100 bills being passed in St. George; can you spot the fake? 1. It is not an insult to a customer to have your cashiers verify the authenticity of these high denomination bills with their special pen. 2. You could probably negotiate a decent cost per unit to upgrade your surveillance camera gear to higher definition. 3. If you were serious about catching this guy you would not have waited six weeks to get the word out through SGPD. Time is of the essence in catching these folks. 4. The public is always willing to help, but you have to exhibit some sense of urgency…. Is he Hispanic…no, can’t be!! What the H _ _ _ is going on these days? ?